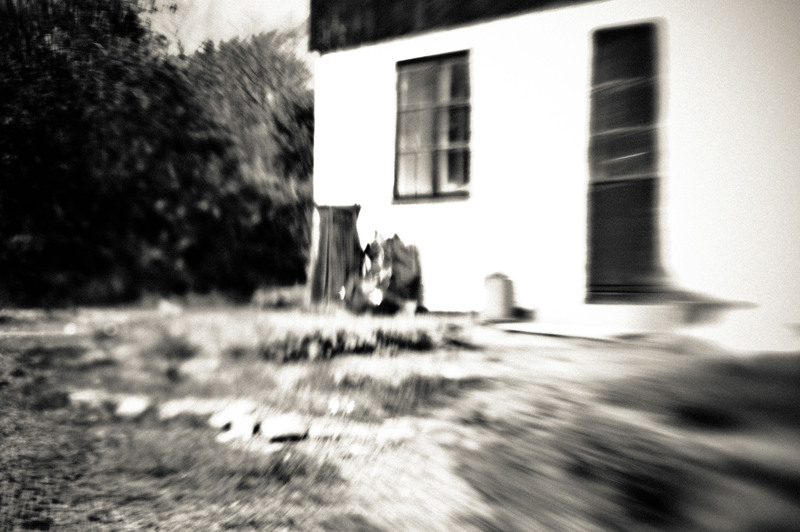 This is a part of a house I stayed in when I had a 14 days tv-shot on Bornholm in May 2007. Bornholm is the second easternmost point of Denmark (Ertholmene is the easternmost) and it is the only place you can find cliffs in our little kingdom. There is incredibly beautiful on Bornholm, especially in spring and summer, but “unfortunately” too many people (tourists – Danish as well as foreign), while there in winter, are almost no people at all, beyond the approximately 43,000 residents living there. I was visiting there a winter some years ago, which is actually really beautiful, if it is a winter where there is snow, but I must say that there is absolutely nothing happening ….. who said winter depression! The photograph is made with my Lensbaby 2.0, from an overexposed RAW file (The Nikon D70s can’t light measure with a Lensbaby lense), but I found out that it would give a very cool effect when you want to make lomography photos with your DSLR camera. I imported the photo into Photoshop where in RAW converter I sat the exposure settings to -3.0 (or as low as it can go), to pull down the above-illuminated areas, and get back some details in the highlight. it is subsequently converted to black and white and I added more noise and did some small adjustments here and there. Welcome to my house by Bo47 is licensed under a Creative Commons Attribution-NonCommercial-NoDerivatives 4.0 International License.